Latitudinal gradients are likely the product of a complex interplay between abiotic and biotic processes operating across multiple temporal (ecological vs. evolutionary) and spatial (local vs. regional) scales. Research on invasive species such as Phragmites australis across a biogeographic range can provide insight into the mechanisms underlying large-scale patterns in diversity and productivity. 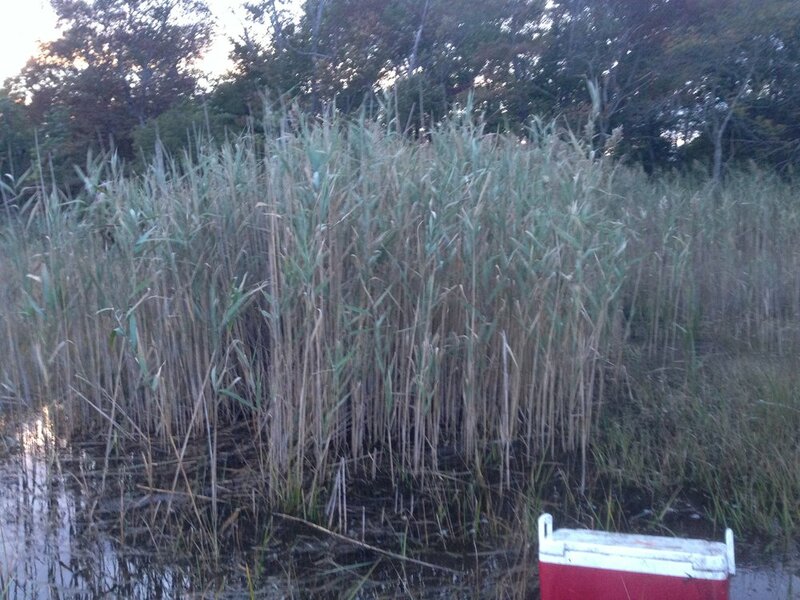 In collaboration with the Kimbro and Beighley Labs at Northeastern, the Hughes Lab conducted a survey of Phragmites from MA to SC. Our study suggests that this invasive foundation species may be altering traditional patterns in species diversity and productivity in coastal wetlands.